The authors’ goal is to provide a reliable guide to understanding Jesus’s Olivet Discourse (Part 1) and then to allow its bright light to illumine the other scattered references to the end times found in Jesus’s teaching (Part 2). Given the centrally important role of the Olivet Discourse (Matt. 24; Mark 13; Luke 21) in the study of biblical eschatology, the plan is a good one, and the authors pull it off with obvious success. It’s a model of theological exegesis: they’re careful to follow the text, and they’re careful not to step beyond it. 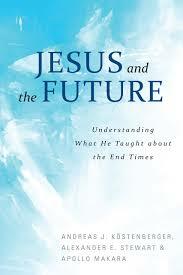 Doubtless this will become required reading for any study of Jesus’s famous eschatological discourse. Of the various commemorative volumes published in this Reformation 500th anniversary year, this may be the most significant. Barrett has assembled a first-class team to provide us with a systematic theology textbook that the Reformers themselves could claim as their own work. Valuable historical notes are included also. A resource that’s long overdue, this is surely a “must have” volume for anyone teaching theology. How Can Justification Make Me Joyful? The gospel is intended to enliven the heart. This little booklet not only explains how that works, but actually serves to minister that joy through a personalized consideration of the gospel’s leading benefits. A delightful read for every Christian, well suited for evangelistic use also. Matthew Harmon takes the professionalism and academic mystique out of profitable Bible reading and offers every Christian layperson real help—a simple approach that’s well-informed yet entirely accessible. I’ve read many “how to read your Bible” kinds of books—this is my favorite and the first one I’ll suggest to believers looking to read their Bibles to spiritual profit. This book would serve well for individual reading and for group use—great for a Sunday school or small group setting. 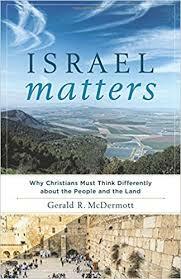 This work is simpler and briefer, yet similar in substance, to his larger edited volume, The New Christian Zionism: Fresh Perspectives on Israel and the Land (see my interview with him here). 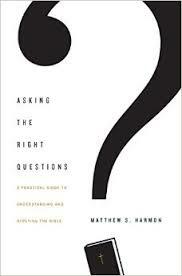 It treats the question historically, exegetically, theologically, and even politically. McDermott is certain to meet critical reviews from the traditional sides. His interpretations are sometimes surprising. But his work is of the sort that will claim attention and, if not agreement, then at least a response. Visit www.BooksAtaGlance.com, where you can access a plethora of quality Christian book reviews, book notices, book summaries, and author interviews. 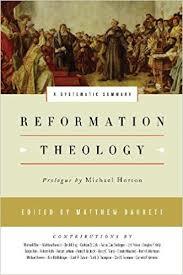 What’s the Best Book You’ve Read on the Reformation?